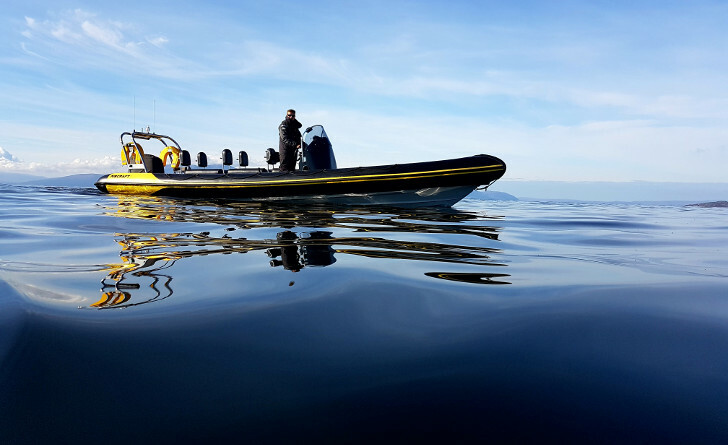 Rib Charter News | The Beaufort Scale. Home Rib Charter The Beaufort Scale. Before every charter, one of the most important things we check is the weather forecast. Luckily we operate in sheltered waters but nevertheless high winds do still have an effect on the sea state. 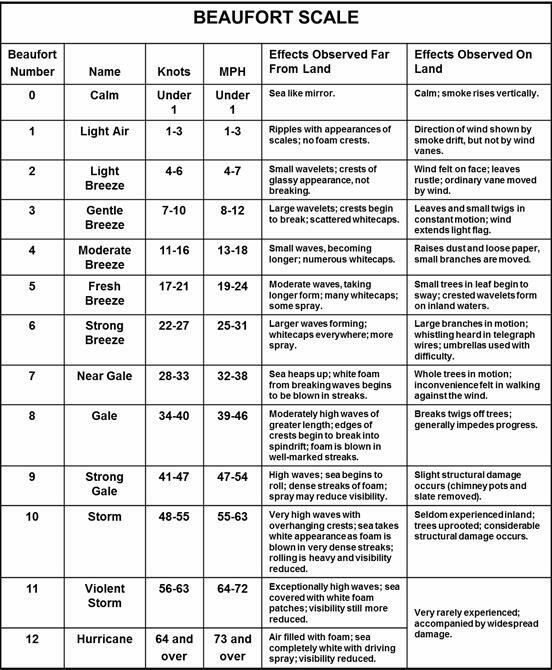 In the maritime sector, wind is measured by the Beaufort Scale. First devised in 1805 by an Irish hydrographer named Francis Beaufort, it filled the need for a standardised scale linked to observation replacing the subjective methods previously used. A light breeze may be interpreted as something very different by two people. Wind speed is measured in knots, a knot (or nautical mile) is 1.128 MPH. The scale is divided into 10 sections or ‘forces’ which categorise a range of wind speed, for example, 1-3 Knots would be a force 1 or 17-21 Knots would be a force 5. This is the full Beaufort scale, with the observational ques to look for.